What Is the IRS Still Doing? Because the government shutdown is only a “partial” shutdown, the IRS is still under daily operation. However, they are operating with a much smaller workforce—only about 12.5 percent of its employees, or roughly 10,000 individual workers. The remaining workers have been furloughed, which means they are no longer expected to come into work on a daily basis, and they are receiving no pay. At this point, it’s likely the IRS has recalled some of its unpaid workers; however, they will still be operating with what you might call a “skeleton crew,” and those workers will be working without pay. With these tasks still being completed as quickly as their workforce can manage, you are still expected to file your tax return. However, it is best to file electronically if you want your return processed quickly. What Is the IRS Not Doing? Along with many other normal tasks (a full list of their suspended operations can be found in the IRS contingency plan). While this may give you a bit of a break, if you were expecting an audit or currently facing collections form the IRS, please be aware that it’s not going to cancel those efforts indefinitely. Once the shutdown ends, these operations will resume. Additionally, the IRS could have a bit of a hard time implementing much of Trump’s tax legislation, which is being applied to the 2018 tax year. This new legislation requires significant revisions of many worksheets, government tax forms, current IRS publications, as well as IRS policies and procedures. Due to the complexity of implementing all of these in-house changes, the IRS likely won’t be putting their manpower into this until after the shutdown has ended, and they once again have a full workforce on hand. The IRS doesn’t begin reviewing submitted tax returns until January 28th each year. So, currently, they’ve only been in their “official” tax season for a few days. 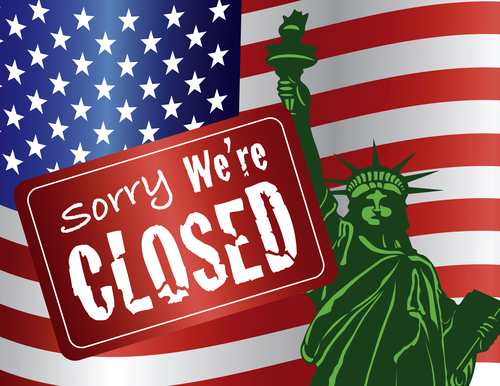 This means that, if the government shutdown ends soon, there will likely be very little impact on your processing your tax return, and minimal delays on receiving your tax refund. However, the longer the shutdown continues, the more problems the IRS will face, and the more delays you can expect to see. Despite the shutdown, you are still expected to submit your return to the IRS before the tax deadline. Additionally, even though the IRS may be struggling to implement changes from the Tax Cuts and Jobs Act, those new laws will still be applied to your 2018 return, so you still need to ensure that your return is completed and filed based on those new tax laws. Again, we also strongly recommend that you file your tax return electronically. These returns are largely processed via an automated system, so they will be given priority during the government shutdown, and they will be processed much more quickly than returns filed by mail. Finally, be patient. As frustrating as it might be to have your return or refund delayed by a lengthy government shutdown, there is very little you are able to do to get your return processed any faster (aside from electronic filing). So, be sure to manage your expectations about when you will get your refund, so that you can avoid any unnecessary stress on the matter. If you have any further questions or concerns regarding your tax return, please feel free to contact our tax preparation firm. One of our experienced tax accountants will be happy to assist you with any questions you might have.